We believe that Hampton Fancher and Michael Green have crafted with Ridley Scott an extraordinary sequel to one of the greatest films of all time. 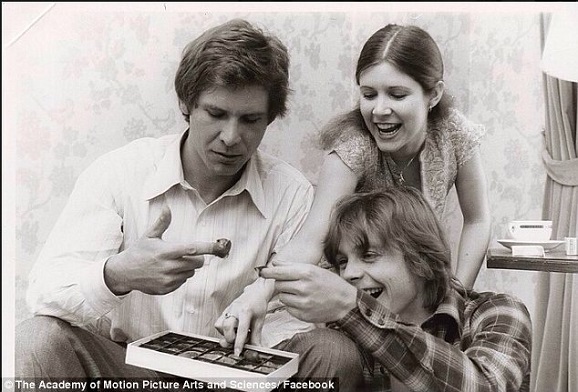 We would be honored, and we are hopeful, that Harrison will be part of our project. Rumors have been flying around for months now concerning Ford’s willingness to return to the role. But that was all seemingly put to rest last month, when Ford announced during his Reddit AMA that he would be “very anxious to work with Ridley Scott again” on the sequel “if it’s a good script.” I guess that’s why Alcon led with the claim that they’re proud of the new story. Somebody get him a copy of that script! Maybe he can read it while eating chocolates with his fellow Star Wars mates, as seen in one of Carrie Fisher’s recently unveiled private photos seen below. If Ford does sign on, that’ll open the floodgates for other actors to come in for parts new and old. (We know Sean Young wants to come back.) With no clue of what the script actually consists of, we can’t even tell how big of a part Deckard has, or where the story would go. Hell, we don’t even know when this movie would get made, as Scott recently joined talks to direct an adaptation of Andy Weir’s excellent space survival novel The Martian. So, readers. 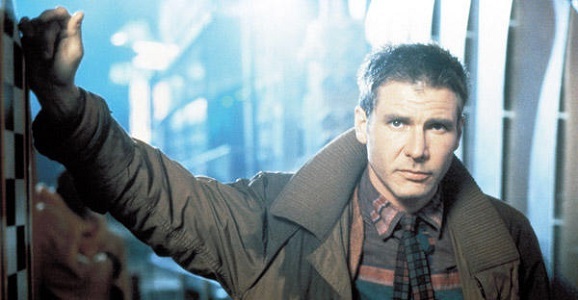 Blade Runner 2: Yea or nay?